Vacation rental house. Sleeps 6, 4 bedrooms, 3 bathrooms. Dogs allowed. 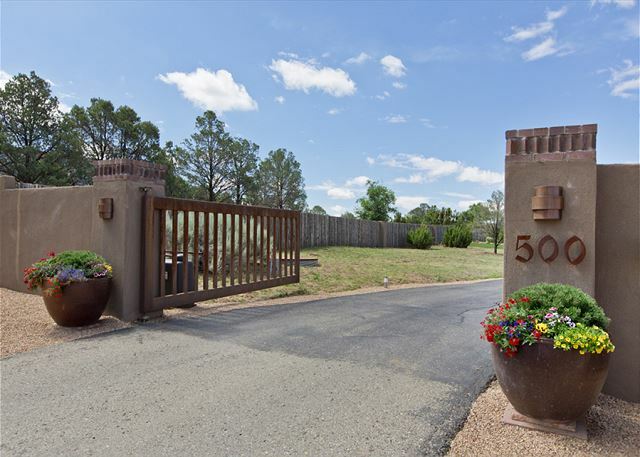 Sitting on an acre of land, fully fenced and gated, this incredible 3000 sq. ft home has it all! Beyond the gate, lies a realm of surprising tranquility with a serene buffer of trees and grass surrounding this soft-Contemporary Territorial convenient to Museum Hill and the Plaza. 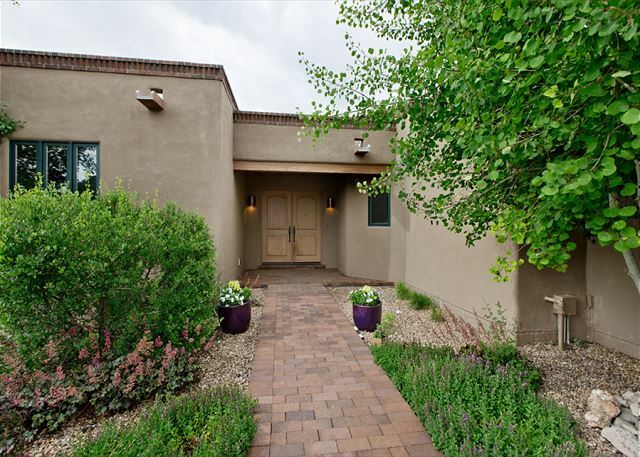 Combining the benefits of a newer home with the appeal of an established historic neighborhood, this home is supremely well-insulated with an additional sound wall plus foam to create a whisper-quiet interior. 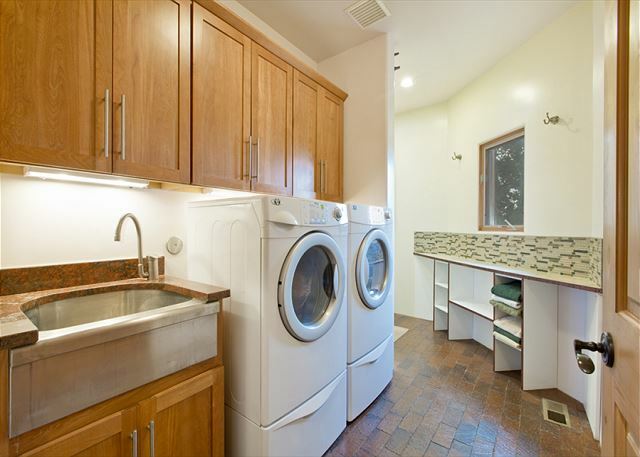 The brightly lit kitchen is well appointed with a Wolf range and ovens, an Asko dishwasher, and a Sub-Zero refrigerator. 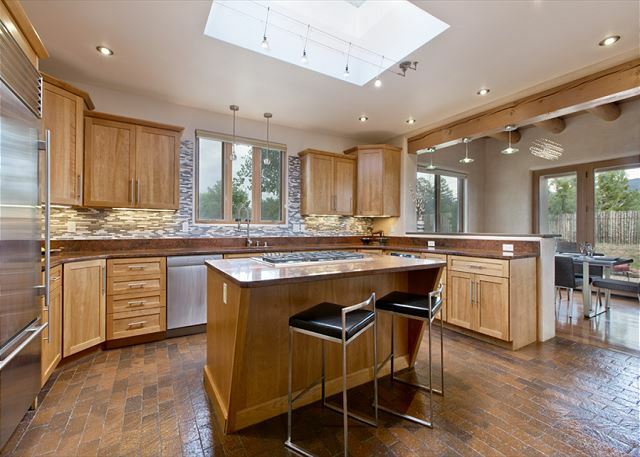 An abundance of cabinets, a walk-in pantry, and plenty of counter space add to a thoroughly enjoyable kitchen experience. High ceilings in the living room, a wood burning fireplace, and mountain views creates an atmosphere large enough for entertaining yet imbued with a warmth and scale equally suited to intimate gatherings. 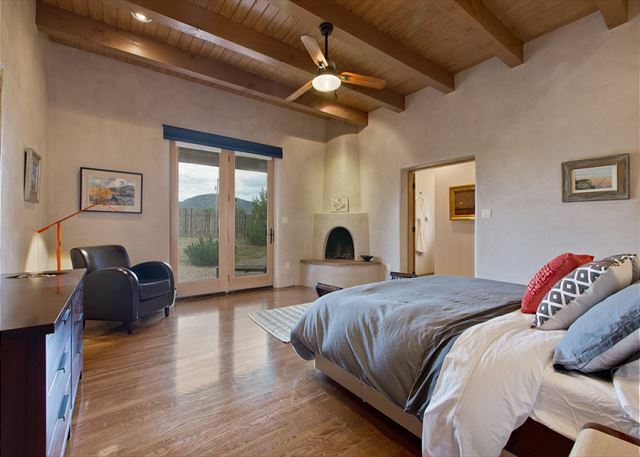 The spacious master suite with Kiva fireplace includes a commodious master bath with well-separated vanities, large shower and soaking tub. 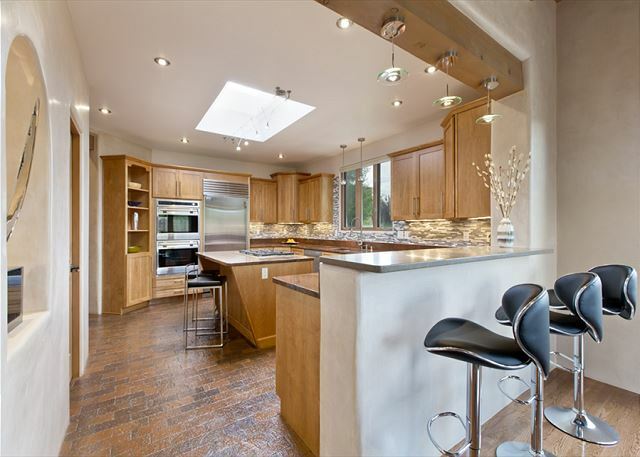 In-floor radiant heat, refrigerated air conditioning, brick and wood floors, plaster walls, and a 2 car garage complete this home. Approximately 3000 square feet.